Image from The Country Teacher. For my eighth birthday, my mother got me a box of crayons. Not just any box of crayons. 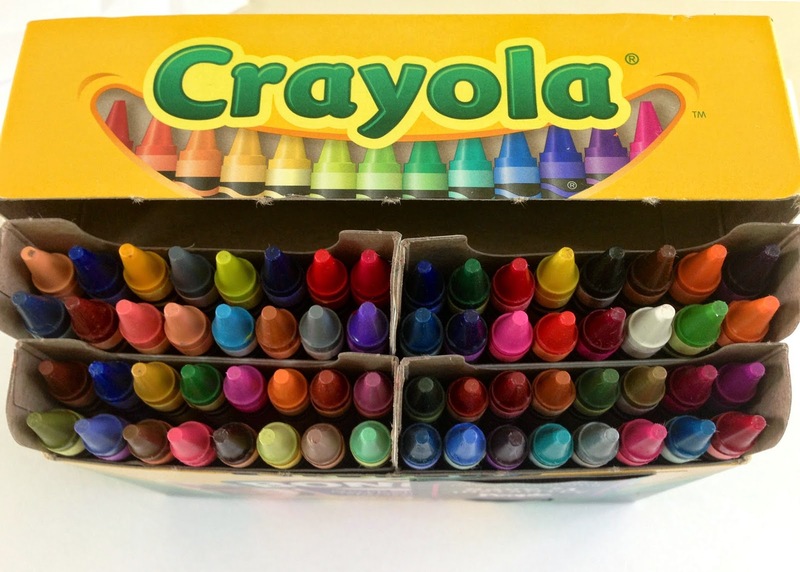 This was the one with 64 colors and a built-in sharpener in the bottom of the box. It was impossible for me to wrap my head around the world having so many colors. The box contained even those classic mid-century modern colors that have long since been retired by Crayola: Blue Gray, Maize, and Raw Umber. As I held the box in my hand, I thought, "I now possess ALL of the colors." What power I felt. Right now I'm at my first RWA National Conference here in San Antonio. Talking is the coin of the realm here at nationals. As romance writers, we join online communities, send out queries, and post on forums where our mode of existence is purely written. Here, the lounges, hallways, elevators, and conference rooms are filled with voices. It's refreshing to sit down with people you've just met and open up about what you do. Like a lot of things in my life, I've been semi-secretive about my romance writing, hiding it because of the nature of my day job. Now, I'm meant to join these thousands of writers and talk freely about the joy it gives me to create these characters and these worlds and these opportunities for that special emotional catharsis that comes only with a happily ever after. After covering genre and hometown, conversations invariably circle back to families. These writers are single, married, mothers, wives, widows. Wives gush or complain about their husbands in turn. Mothers do the same about their children. Everyone has a conversational Achilles' heel. Mine is children. I've been married for ten years and have no children. Eyebrows go up. Most people leave the topic alone at that point, and they are gracious to do so. But sometimes, in situations like these where we open up to strangers, I don't want to do the usual thing and clam up. It's taken a long time to get to this point, but I'm not ashamed of my situation. I don't want to slink around like I am. I've never committed the following words to paper or pixel before: I've had three miscarriages in the last four years. It's been hard. Writing helped me when nothing else could. Today I opened up to a stranger about this, but only after she opened up about something difficult that she's experienced in her own life. Her words to me were very kind, impeccably so, and she made me feel safe while talking about Difficult Things. A stranger! Hats off to her. I agree. But knowing the taste of broccoli and knowing the taste of chocolate can make our tongues more attuned to the spectrum of flavors between them. Before the troubles in my life, I had a box of 8 colors. Bright, primary, pretty, easy to understand. Perfectly serviceable. After these last four years, however, I've got 64 with the sharpener. This is in no way a consolation prize for the losses my husband and I have suffered. But it has led me to understand something. It's a fallacy that suffering is essential for drawing a beautiful picture or telling a beautiful story. However, for me, suffering revealed a spectrum of emotions that I previously didn't know existed. Today, with the help of a kind stranger, I realized that I now possess all of the colors.